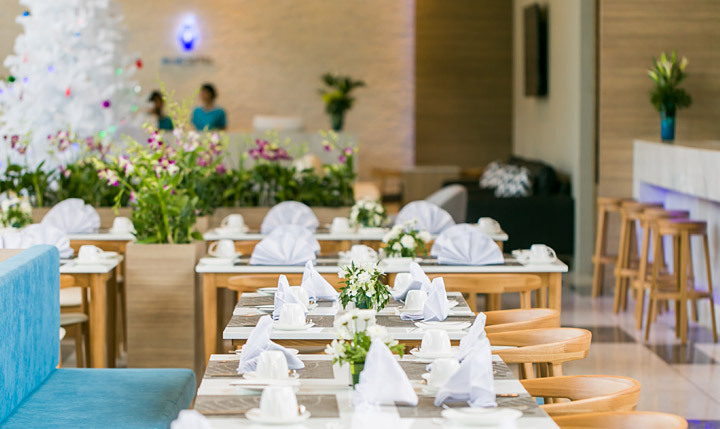 Bluesotel can deliver Aonang events to remember. Get down to business in our modern and stylish meeting room and let your hair down with a private dinner accompanied by a live music performance. Whatever the occasion our talented team will ensure it runs smoothly and successfully. 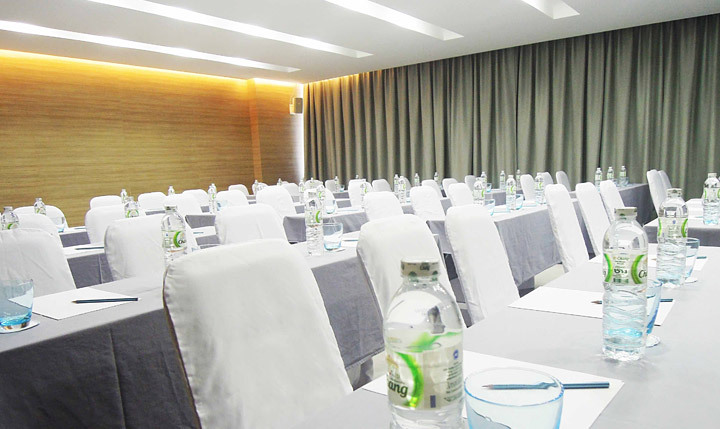 The elegantly finished 95 sqm meeting space at Bluesotel has a capacity of 80-100 people, ideal for business presentations, seminars and group activities. State of the art equipment will get your message across sound and clear in impressive style. Group dining is always a fun experience, but at Bluesotel and we make it a meal to remember! Birthdays, anniversaries, student gatherings and corporate banquets! You name it we can host it. The Blue Jazz Restaurant has a stage for entertainers and speeches, and a wonderful view over our mega swimming pool.